Nothing makes you feel as confident as having healthy, glowing, radiant skin. Beautiful and clear skin makes you look younger and feel healthier no matter what your age. 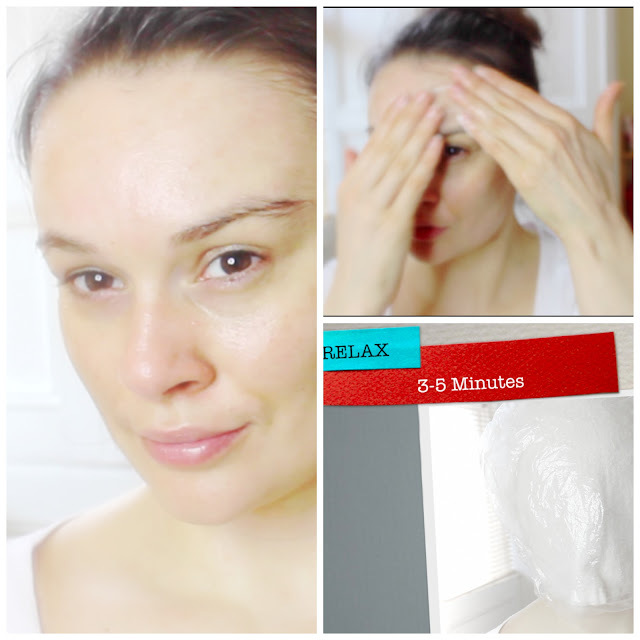 In this video I will show you how you can achieve a glowing skin in less than 10 minutes. This is great express facial at home for the last minute events, such as dates, job interviews etc. where you don't have much time to spend on pampering your skin. Remove the exofliator with warm water and sponges, if you don't have any, plain face washcloth will do the trick too. Pat dry your face gently using a face towel or paper tissues. Apply a thick layer of face cream of your choice - I like to use very thick creams and oils such as Elisabeth Arden 8 Hour Cream, Coconut Oil or plain ol' good Vaseline for this purpose. Hold a clean washcloth under hot running water for few minutes until the cloth is piping hot. If you don't have running hot water then just simply dampen the washcloth and and microwave it for 1 minute. Be careful not to burn yourself as the cloth might be really hot. Apply the hot washcloth to your face and cover your face with a shower cap. I know this is not an attractive look, but this will help look in the moisture in to your skin. Lay back and relax for 3-5 minutes. Remove the washcloth and the shower cap and your skin should feel soft to touch and look super moisturized. You are welcome, you can thank me in the comments!